You may like to assist us by being on the roster to welcome people to the weekend Masses. This just requires you to be a bit earlier to Masses. You will have the weekly bulletin to hand out to those entering. It is really important to make eye contact with those attending. Ideally you may be able to start a conversation with anyone who is willing. Any new people may be made especially welcome by you. By having more than one person welcoming at each Mass will allow you to spend more time talking to people. 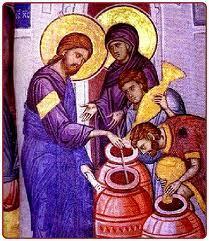 If you are willing to help welcome people to Mass please e-mail: hamilton@ballarat.catholic.org.au or phone 5571 1161. St Mary’s Parish provides a cuppa after Mass on regular occasions at most of our Masses. Serving the cuppa is more than just filling cups. This ministry essentially involves making people feel welcome. We ask that those running the cuppa get out and talk to people, especially anyone who may be alone. You may be able to introduce people to each other and build a stronger parish community. We regard this ministry very highly. If you would like to help with the Cuppa Ministry then please e-mail: hamilton@ballarat.catholic.org.au or phone 5571 1161.